Looking west at B&M's Piggyback and Container Terminal. This is period when a large portion of business consisted of steamship companies' containers. Photographed by Bruce Nelson, April, 1974. That looks like a lot of TOFC/COFC business - similar to what would be seen at Beacon Park across the Charles River. 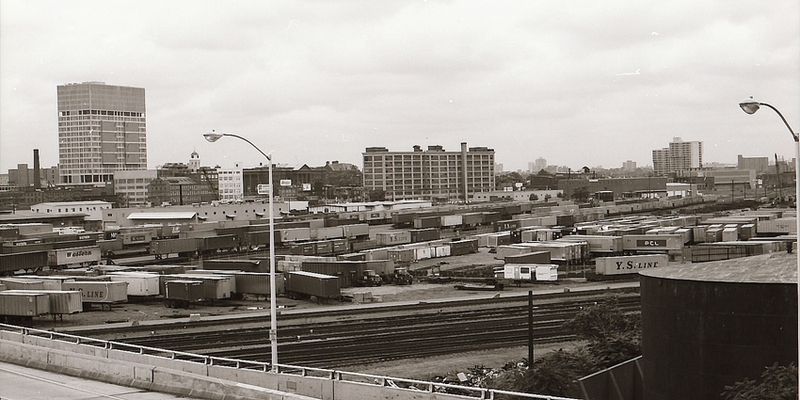 Did all this B&M intermodal traffic evaporate when western connection EL was absorbed into Conrail in mid-1976? Interesting photo!